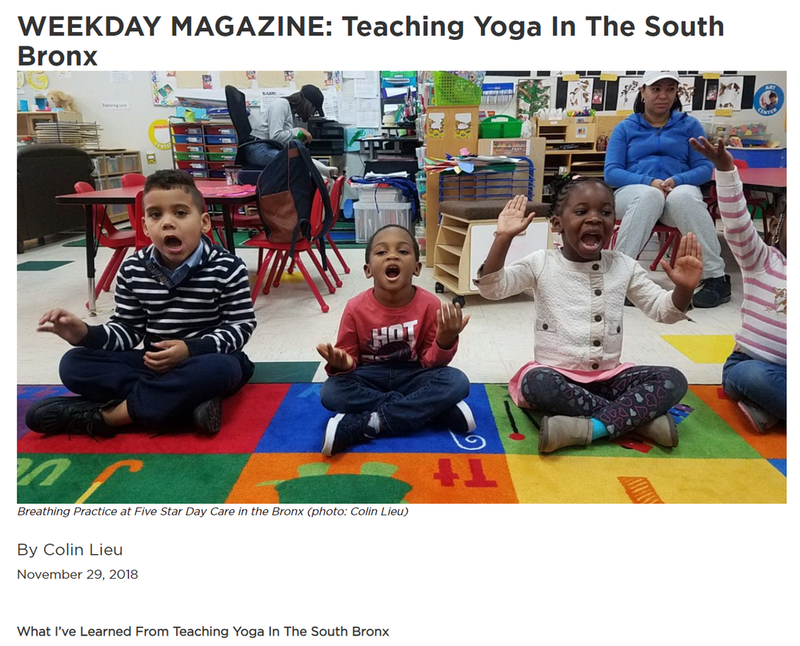 Colin goes by the moniker ‘The Multitasking Yogi’ - a paradoxical term, yet one that does suit his approach to exploring a multitude of ways he can connect New York City’s under-served communities and children with self-regulation techniques and mindfulness. His stories are eye-opening and pertinent to every parent of children in today’s climate. Listen to the podcast on iTunes or Spotify. Bring your yoga mat to “Positivi-TEA,” a free community yoga class hosted by New York mindfulness instructor Colin Lieu from noon to 1 p.m. Sunday at Factory Tea Bar in San Gabriel. San Gabriel native and body positive artist Brenda Chi will show her work and share how growing up in the San Gabriel Valley shaped her art as a feminist and body-positive person. 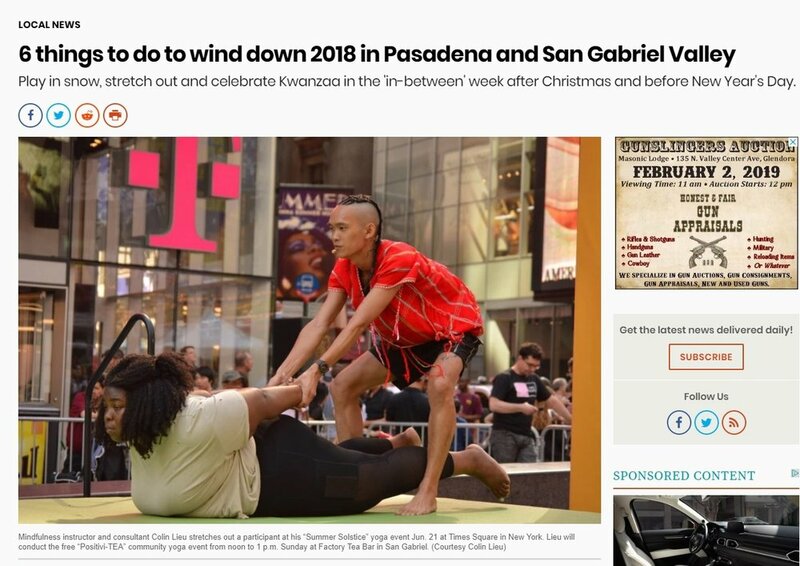 This event has been featured in the San Gabriel Valley Tribune and LA Weekly. Dwarfed by the towering NYCHA buildings and drowned out by the cross-street traffic on 163rd street, a community of Bronx-born pre-kindergarteners inhale and exhale slowly for a count of three seconds. The banging of blocks and the drama of dress-up fade into the distance — even if just for a few minutes — as 4-year-olds lay in stillness. We use our super listening powers to hear sounds:from within the classroom, outside the classroom and within the building; outside the building; inside our bodies. Phoenix First Phoenix's First: An Introduction to Mindful Breathing by Colin Lieu is an amazing read for both parents and kids. When Phoenix’s excitement about his recital transforms into nervousness, he is forced to make a decision: will he give into his nervousness or create a pathway beyond this internal barrier? Read the full review on Facebook and Instagram. Read the full article on Blavity. Read the full article on Huffington Post. 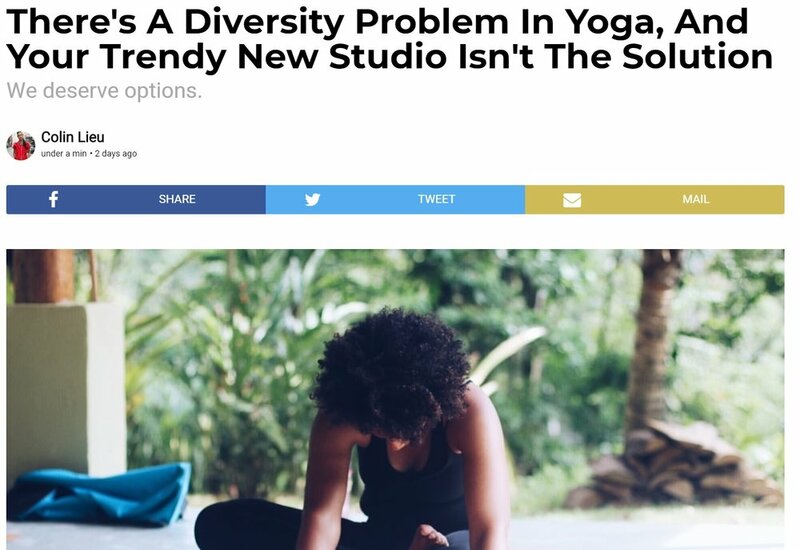 The article also appeared on NextShark and AsAmNews. Want to raise a mindful boy? Picture books can help! Boys can master mindfulness, too, says Colin Lieu, author of, Phoenix's First: an introduction to mindful breathing. This colorful, adorably illustrated read shares kid-friendly messages about how mindfulness can help us notice our energy and stress levels, and how to refocus our attention -- all through the tale of Phoenix, a young boy preparing for his piano recital. It’s okay to serve Black communities, but please know: no one expects you to be Black. Last weekend I attended the 2017 Yoga Service Council Conference where well-meaning yogis gathered to share ideas, learnings and research on how yoga and mindfulness can help support underserved communities such as youth, veterans and others. Unless you’re Betsy DeVos, it’s easy to see how intersectionality slapped us in the face faster than a police officer reaching for their gun when approaching a Black teen. In a workshop called, “Best Practices for Cultural Competency: A View from a Historically Black College”, the question covered in so many layers of White guilt finally came out. A bamboo pot plant. Plastic fruits in a bowl topped with a shiny red envelope. Paper cut-outs of firecrackers with a layer of dust building since February - thick like the skin of a leftover dumpling. Scattered golden characters and phrases plastered on walls now Jackson Pollocks to my eyes. I had entered the Old Master Q equivalent of Universal Pre-K centers. Dawn Brooks-Decosta is trying to raise $250,000 by the time school starts up again for the 2017-18 academic year. Brooks-Decosta is principal of the Thurgood Marshall Academy Lower School (TMALS), a public school in Harlem, and she and her staff found out in the spring that they would not be receiving federal funding for their after-school program next year.